Nani seems to be trying hard to regain acceptance among the family audience after receiving a certain amount of negativity. 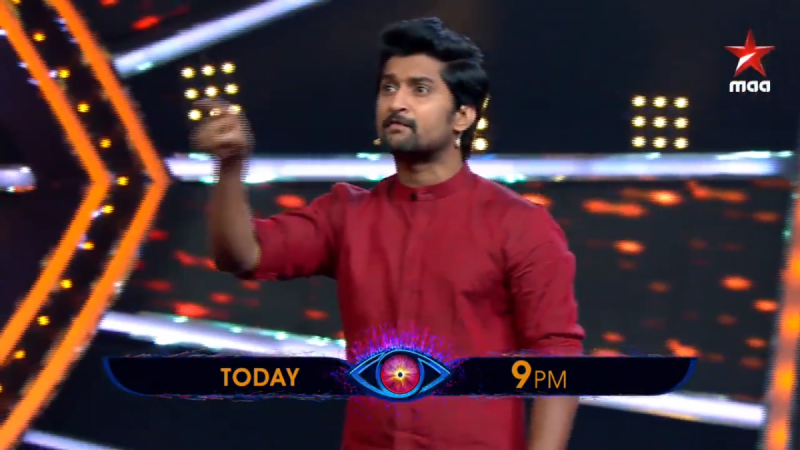 Nani was slammed for his biased hosting during Bigg Boss Telugu 2. Being termed as the 'Natural Star' in Tollywood, Nani has earned a decent following among the audience. There was a time when Nani grabbed the whole attention of the family audiences. But, things overturned after the Bigg Boss show and Nani had to experience a couple of failures. Nani's latest movies Krishnarjuna Yuddham and Devadas had given him bitter experience at the theatres. Also, Nani happened to be the host of the controversial reality show- Bigg Boss Telugu 2, which pushed him into deeper trouble. Nani grabbed huge negativity after him being the host for Bigg Boss Telugu Season-2. Despite taking care of things related, Nani had to face the anger of the majority of Telugu audience as a host. Ever since Nani was slammed as a 'partial' host, it seems like the actor is struggling to revoke the acceptance among the family audience. Nani's appearance as the host apparently nullified his stardom and hence he is trying to recover the loss occurred. Nani's upcoming sports drama titled 'Jersey' is slated for its release on April 19. Sraddha Srinath and Nani are to appear as the husband and wife duo in this intense sports drama. Helmed by Goutham Tinnanuri Jersey is bankrolled under Sithara Entertainments. The theatrical trailer and other promotional stuff got a decent response from the audience and the expectations are mounted.